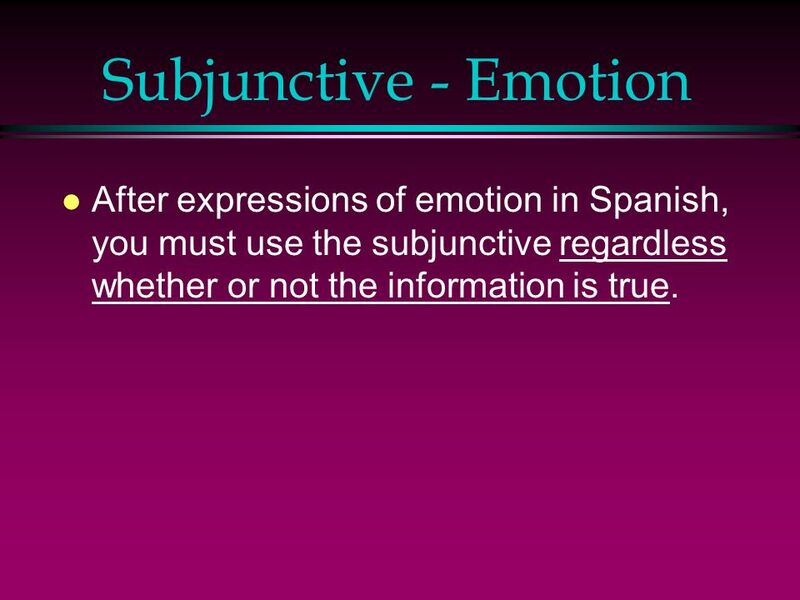 3 Subjunctive - Emotion After expressions of emotion in Spanish, you must use the subjunctive regardless whether or not the information is true. 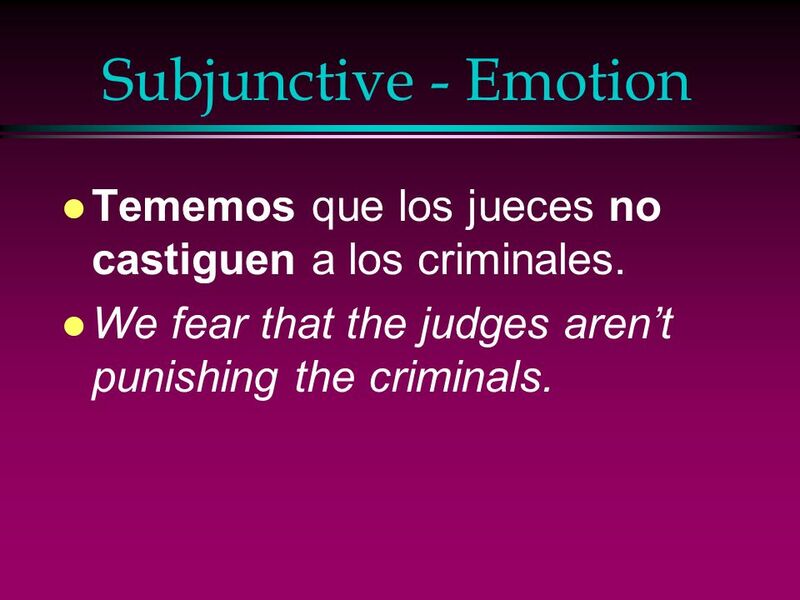 5 Subjunctive - Emotion Tememos que los jueces no castiguen a los criminales. We fear that the judges aren’t punishing the criminals. 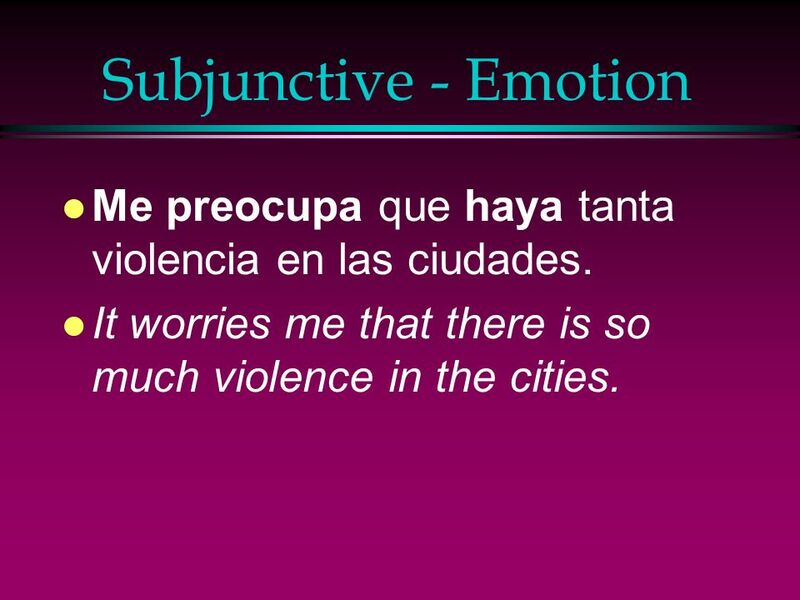 6 Subjunctive - Emotion Me preocupa que haya tanta violencia en las ciudades. It worries me that there is so much violence in the cities. 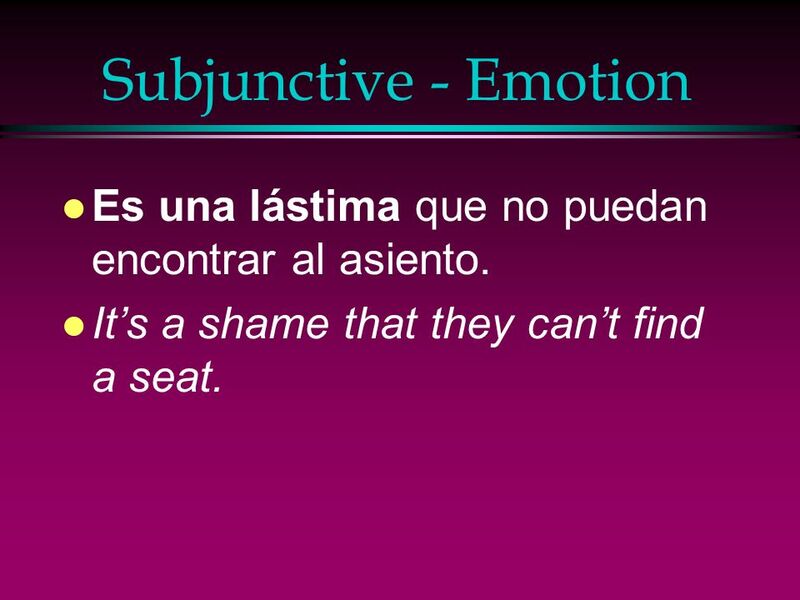 7 Subjunctive - Emotion Es una lástima que no puedan encontrar al asiento. It’s a shame that they can’t find a seat. 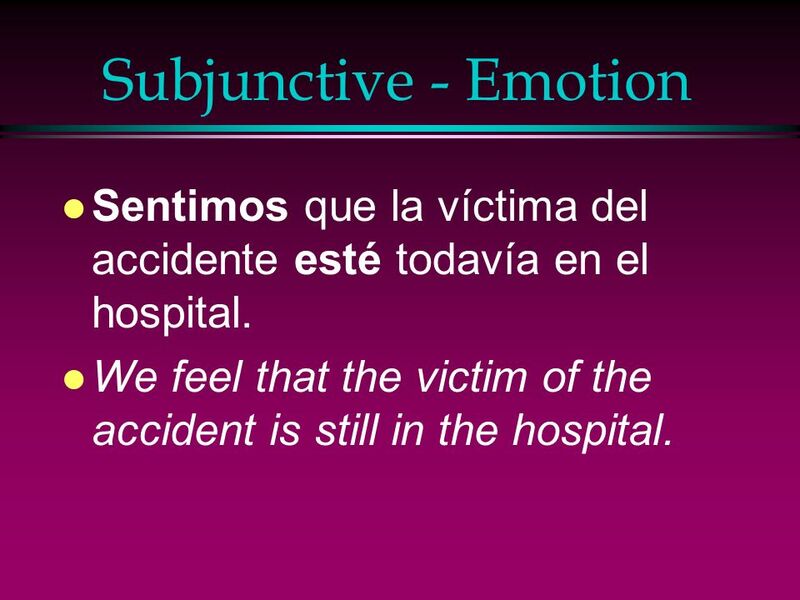 8 Subjunctive - Emotion Sentimos que la víctima del accidente esté todavía en el hospital. We feel that the victim of the accident is still in the hospital. 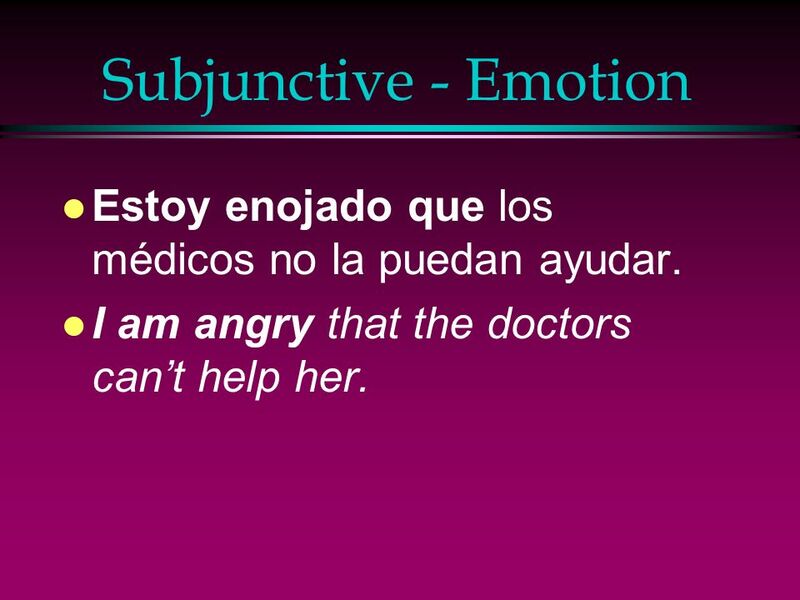 9 Subjunctive - Emotion Estoy enojado que los médicos no la puedan ayudar. I am angry that the doctors can’t help her. 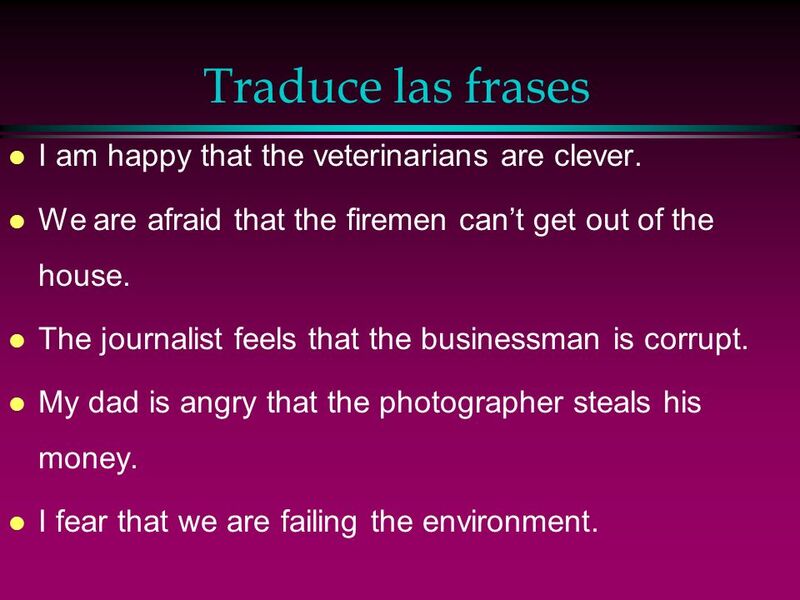 10 Traduce las frases I am happy that the veterinarians are clever. We are afraid that the firemen can’t get out of the house. The journalist feels that the businessman is corrupt. My dad is angry that the photographer steals his money. I fear that we are failing the environment. 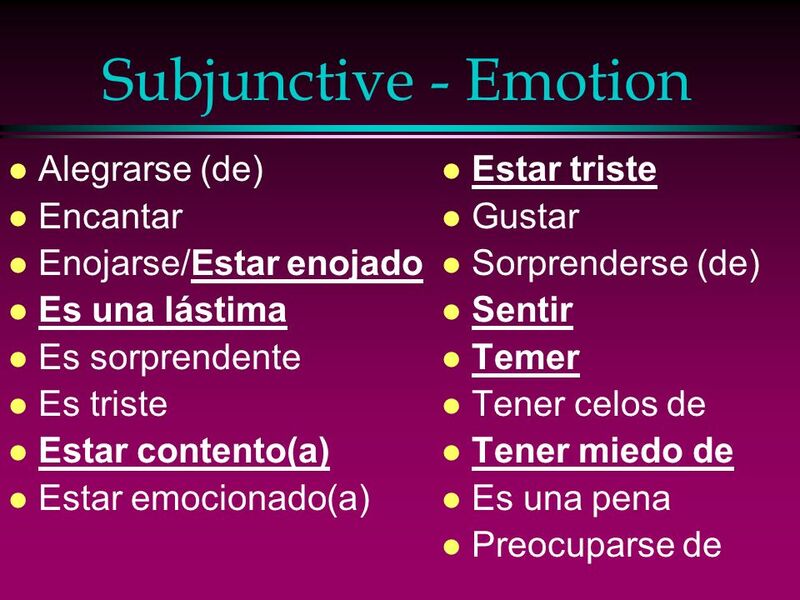 Download ppt "Subjunctive With Expressions of Emotion"
Verbo To be El verbo To be significa “Ser y estar”. Su significado dependerá del contexto de la frase y de lo que queramos expresar en cada momento. 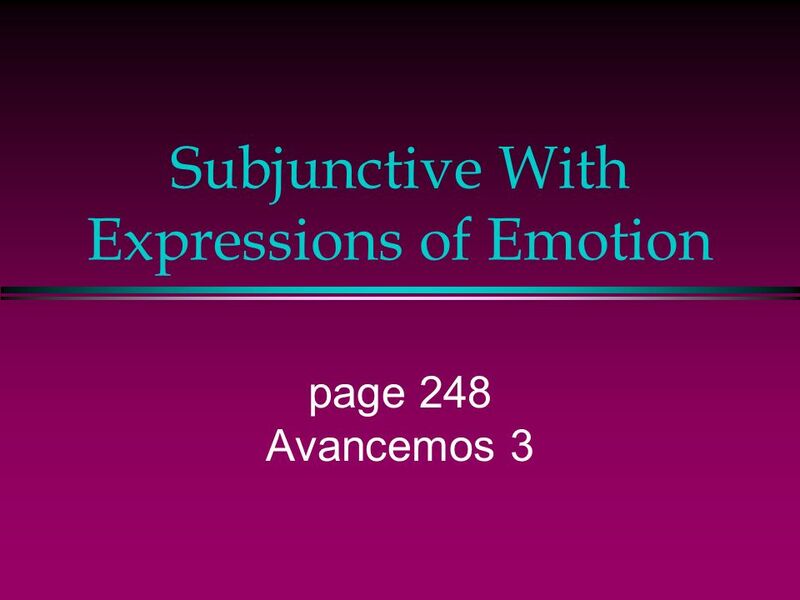 The Present Subjunctive with Expressions of Doubt P. 487 Realidades 2. CAR + HITCH + TRAILER Una historia del subjuntivo. En la columna a la izquierda, escriban el termino y el significado en inglés. El subjuntivo: The WEDDING TENSE. 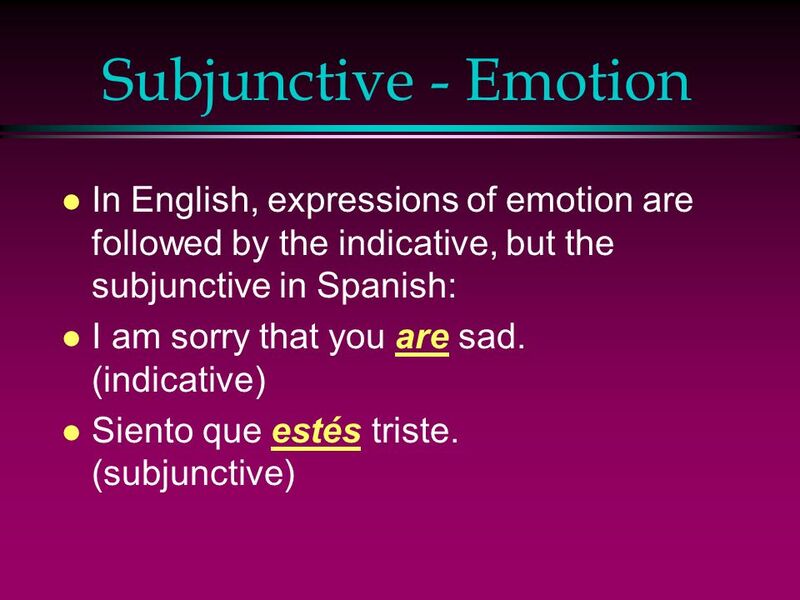 *El Subjuntivo* *El Subjuntivo* The mood that describes what may happen: hypothetical, ambiguous and emotional situations.